As an industry leading authority on conformal coating, SCH Technologies is always working to provide the industry with new innovative solutions to existing problems. Conformal coating masking is a necessary process in many cases but it can be costly, difficult and not value added. 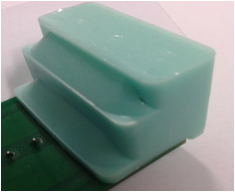 Recently, SCH has worked hard to develop conformal coating masking boots at an affordable price. We now find that we can reduce costs of masking by as much as 80% and reduce the number of errors in processing and time to complete the job. We are happy to provide a free trial of our masking boots so you can test it for yourself. We can then work out your Return on Investment. If you then place an order with us and you don’t save money then we will give you your money back! If you would like to speak with someone about this offer, contact us at 01226 249019 or via William@schservices.com. 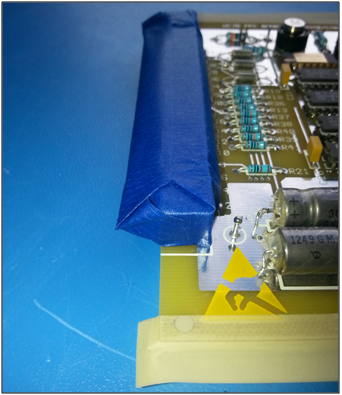 Can I use any type of masking tape or dot in my conformal coating process? The simple answer is yes. But, you can get varied levels of success. For instance, consider the masking tape adhesive used. Most tapes have silicone in the glue to allow for easier removal from the roll or strip. However, this can cause de-wetting around the dot or tape which may need to be repaired later. 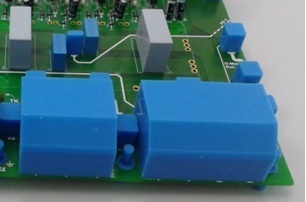 Also, the material of the tape could absorb the conformal coating solvent, attack the glue and end up leaving the glue residues on the surface of the board. If the residues are left behind then reliability of the product could be called into question since it would not be known if there will be long term effects. SCH Services in their coating service process use several different types of masking materials depending on what is being masked and what the conformal coating is. Ultimately, trials with the tape or dot should be considered before just using the product in your process. 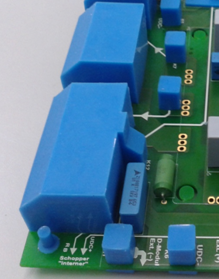 Click Conformal Coating Masking FAQ’s to discover more.